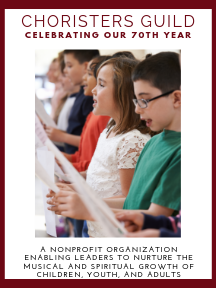 This volume of ChildrenSing is a collection of seven anthems, spanning the church year, for the elementary school singer. To facilitate the process of learning to read and learning the art of music, each song includes two versions: the complete score with accompaniment for the director; and a reproducible melody line version for the singers. Contents: "How Majestic is Your Name"; "Lord, We Give Thanks"; "Advent Prayer"; "O Come, Little Children"; "Show Me Thy Ways"; "Alleluia, Christ Is Risen"; "Let All the World in Every Corner Sing"